A Disgruntled Republican in Nashville: Why I do not support the governor's proposal for a major increase in the gas tax. Why I do not support the governor's proposal for a major increase in the gas tax. Gov. Haslam has been laying the ground work to raise the state gas tax for a couple years and now he has put forth a specific proposal. His plan would increase the tax on gas by seven cents, the diesel tax by 12 cents vehicle registration by $4, $10, or $20 depending on the type of vehicle, impose a $100 fee on electric cars and impose a 3% tax on rental vehicles. The gas and diesel tax would be tied to the Consumer Price Index and would increase automatically with inflation without additional legislative action. The plan would also allow local governments and counties to hold local referendums to increase the local option sales tax for the purpose of funding local mass transit. The plan would cut the sales tax rate on groceries by one half of one percent and provide for various other minor tax reductions. This plan would bring in an additional $278.3 million dollars. There is a good argument to be made that the gas needs to be increased. The fuel tax, which has not been increased since 1989, is not raising sufficient revenue to improve and maintain our highway system. Improved fuel efficiency standards and the rise of hybrid vehicles are hurting the collection of gas taxes. Also, our interstate highway system and bridges are old now and major repairs are needed. There are bottlenecks and places that need new interchanges. There is a $6 billion backlog of projects that need funding. Tennessee's gas tax is among the lowest in the nation and even if this tax is increased to the level the governor wants, we would still be about in the middle of the pack in rankings of gas tax burden. That said however, in the past when money was flowing into the system we should not have spend it just because we had it. We did. 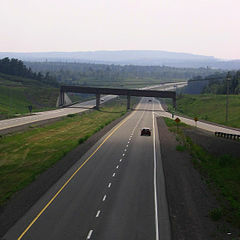 The biggest folly in my mind is that we had a state policy that every county seat would connect by a four-lane limited-access road to an interstate. I am not sure when this policy was instituted, sometime in the 70's I think. I am not sure if it was ever completed for all 95 counties but if not, it was for most of them. I know the generalities but not the specifics. If some one can research the facts please post the information. The logic behind this policy was that to bolster employment opportunities in rural areas we needed four-lane roads. Counties would build industrial parks and entice companies to locate across the state. If there was not easy access to the interstate system, companies would not locate to rural areas. back to her hometown of McKenzie, Tennessee. I would go pick Rachel up from her mother's in McKenzie, Tennessee on a regular basis, getting off of I-40 at Parker's Cross Roads. McKenzie was about thirty or so miles from the interstate. From the interstate to Huntington, the county seat of Carrol County, was about 20 miles and was a four-lane road. Sometimes I would not see a dozen cars from exiting the interstate to Huntington. Also, the little town of Huntington had a four-lane ring road by-pass, which was silly because it added miles to the trip and there was nothing to by-pass since it was much quicker to go straight through town. There was never a rush hour in Huntington. The few times I did take the bypass, I would go miles and miles and not see another car. It was kind of eerie. I also for many years had a grandmother living in Sparta, Tennessee in a nursing home and on occasion I would go visit her. Also, we would have an annual family reunion not far from Sparta "on the mountain," and that would take me through Sparta. which is the county seat of White County. Like Carol County, White County's highway would be virtually empty of traffic. In neither of these counties did they need a four-land divided highway. These four lanes roads are very wide with wide medians, and wide shoulders. The width of these roadways is about the width of the length of football field. This plan to four-lane the state of Tennessee apparently did not achieve its objective. The policy was a failure. It did not save rural county jobs. As of the 2010 census, the population of Carroll County was 28,522; in 1980 it was 28,285. In 2010 the population of White County was 25,834; and in 1980 it was 19,567, not much growth in either case. Looking at rural counties across the state, some had modest growth, some almost no growth and some continued to have declining population growth. In addition to the cost, I think it is detrimental to the environment to encourage this kind of sprawl, and I prefer to keep the rural, rural. Building four-lane roads to each county seat gobbled up mass swaths of farm land and detracted from the bucolic natural beauty of rural Tennessee. 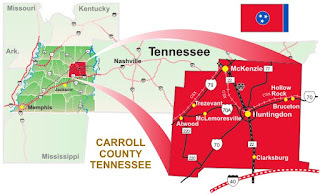 Rather than try to make each rural county a site for industrial development, I think it would have been wiser to pick six to eight mid-sized towns such as Jackson and Cookeville and focus development in those areas. Anyway, we have now spend that money and there is no getting it back. The lesson form this is that if an entity of government has money to spend, they spend it even if they spend it foolishly. The only way government spends wisely is when money is scarce and even then not all of the time. It is a policy quandary; do you give an entity more money and see a lot of it foolishly wasted or not give insufficient money and see essential services surfer? I think it is hard to strike the right balance. 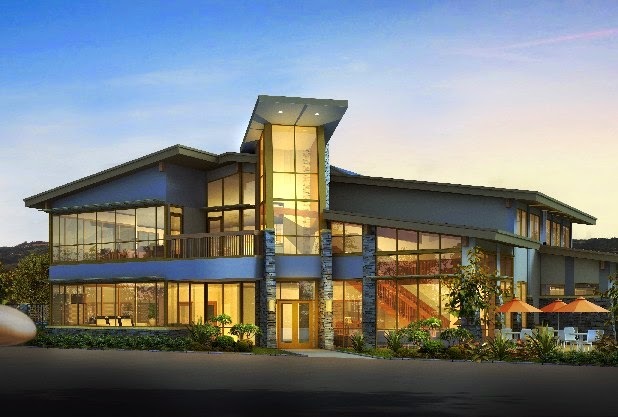 furniture and even a water feature,” along with restaurants, recliners and "quite rooms for a ‘siesta’?” Perhaps you should become a corporate millionaire, buy a jet, and plan a layover in Cleveland Regional Jetport. While you’re there, make sure to thank Tennessee taxpayers, who shelled out $42.2 million in funding from the Tennessee Department of Transportation to the City of Cleveland. Apparently, Cleveland officials felt our well-to-do comrades should not be relegated to commuting with the common folk from the Chattanooga airport, just 30 miles away. If the Department of Transportation can spend over $42 million on building a luxury jet port for the city of Cleveland, maybe the gas tax is sufficient to fund the roads and bridges we need. If the Department of Transportation is again flush with money, the State may decide a lot of other cities need luxury jet ports. If the state has lots of money for roads, I fear the State may decide that every town needs to be connected by a broad four-lane road to every other town and that every Podunk Tennessee needs a bypass. I am not ready to support the governor's proposal for a major increase in the gas tax.